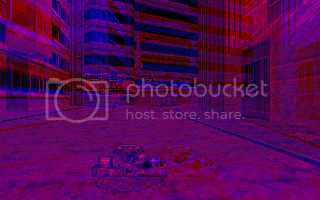 Originally, when Duke Nukem 3D was released for the PC in 1996, it had the option to play in Anaglyph 3D (old school Red/Blue 3D glasses). The Xbox live arcade version does not offer this option however I think it would be an amazing feature, and considering all the recent attention 3D video and gaming has been getting lately, it would prove to be a lucrative move (even as an add on). Don't get me wrong, the game is epic the way it is, but to be re-released without it's full potential when you think of the advancements in this field is a shame. Personally i'm glad they didn't add this feature, it hurts my eyes. Nobody would force you to use it, if they did. If from what I have read from some other forums etc, the code for this mode is still in there, just that there is no option to turn it on. If you could access the dev console then it may be possible to enable it.